We live in a rushed society with many demands and stressors. Sometimes these demands and stressors become enough to interfere with aspects of life such as work, mental health, physical health, or our relationships with others. At Restored Life Counseling we want to meet you where you are and help point you toward health and wholeness. Working with our therapists or counselors can help bring out your strengths so that you can regain focus and move forward while getting the most out of your life and relationships. 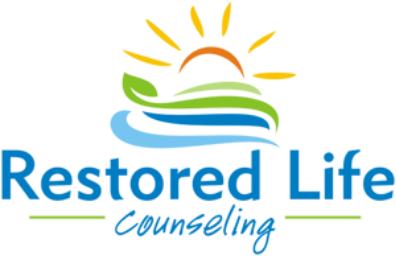 Restored Life Counseling is a multi-disciplined counseling center. The diversity of our therapists’ backgrounds is rich. We have someone who can help you through your toughest problems. Our psychologist and counselors can help you through the struggles of life and provide encouragement in a warm, safe environment. We work with individuals age 5 and up, families, and couples/relationships. Our friendly office staff can help you understand insurance benefits, file your insurance claims, and find the counselor best suited for your needs. If you are a new client, you can find helpful information about our office procedures and your first visit or download the new patient form. We have included a list of websites, retreats, and books that we recommend as resources. View our complete list of resources, as well as, our latest blog posts. Move Toward Healing and Wholeness.